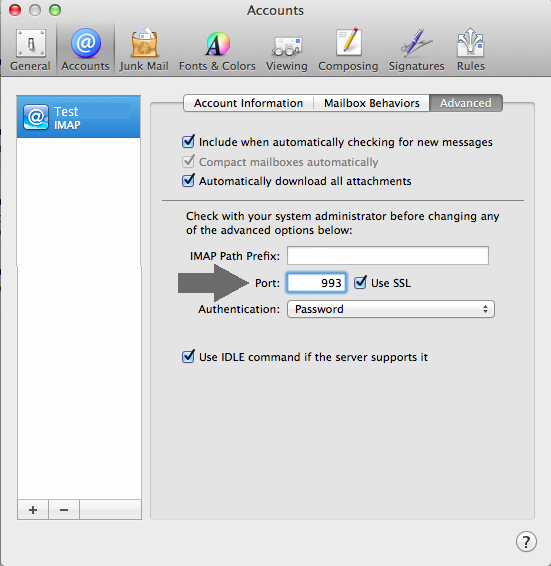 Home/Knowledge Base/Email/How to set up your email account in Mac Mail? 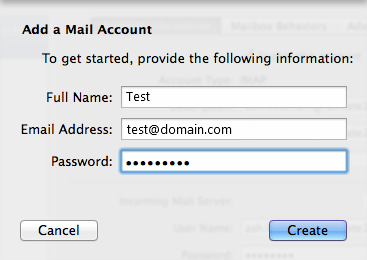 How to set up your email account in Mac Mail? Click on the type of email setup you want for your email client to see the full instructions. 2. In the new window that appears, click the Accounts tab in the top menu bar and then click the plus (+) symbol in the lower-left corner. 3. Select Add Other Mail Account… and then click Continue. -Full Name: this is the name that will be displayed to the recipients of your sent messages. 5. Click Create. A message prompt will appear wherein you may need to enter the information manually. 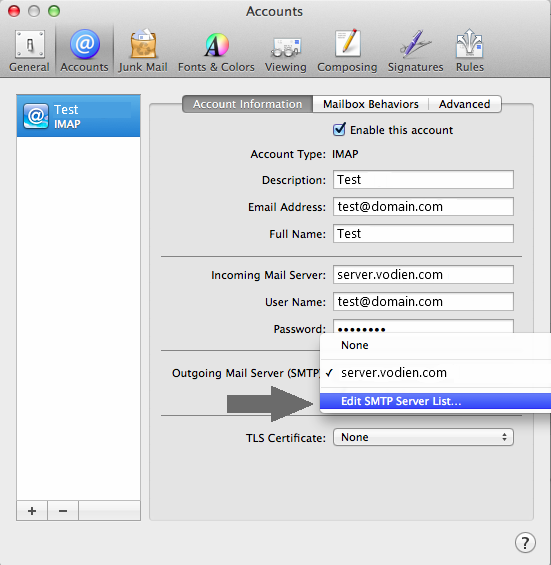 Account Type – Select IMAP/POP. 8. Click Create. 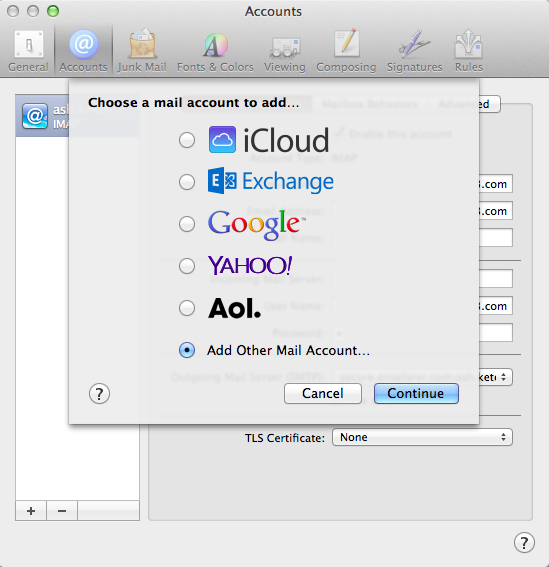 Mac Mail creates the account. 1. 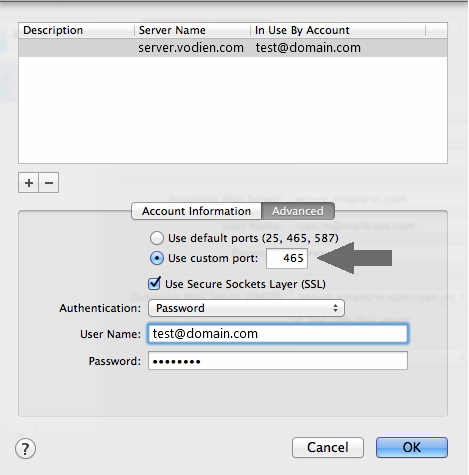 On the Account Information tab of the Accounts page, click the list next to Outgoing Mail Server (SMTP), and then select Edit SMTP Server List. 2. 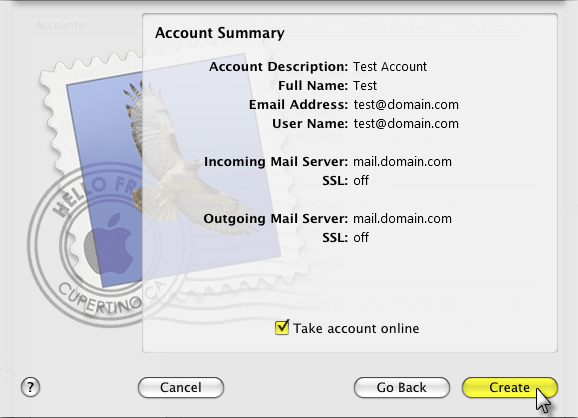 In the list of outgoing servers that are set up within Mac Mail, ensure that the one belonging to your account is selected. Then, click the Advanced tab under the list. 3. On the Advanced tab, select Use custom port and enter 465. Then, click OK.
4. On the Accounts page, click the Advanced tab. Configuration is complete. You can close the Preferences window and start using Vodien Email through Mac Mail. 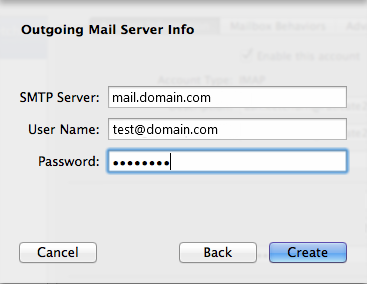 If you have existing emails, OS X Mac Mail will begin to download mails to your inbox. -Full Name: this is the name that will be displayed to recipients of your sent messages. Setup is complete. 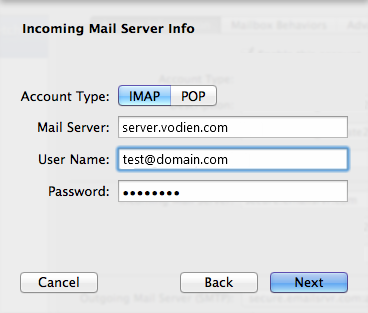 You can close the Preferences window and start using Vodien Email through Mac Mail. 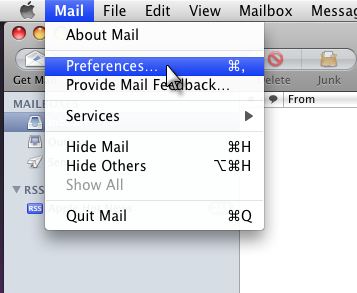 If you have existing emails, OS X Mac Mail will begin to download mails to your inbox.